For many years now, Eggert Cooling & Heating Solutions has been the go-to company of property owners for a variety of cooling and heating products and services. Because of consistently excellent services and reliable assistance, we gained the trust of our clients who have always been very satisfied with our service. 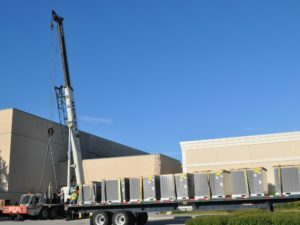 Aside from residential properties, we are also experts in providing cooling and heating services for commercial properties in Orlando and nearby communities in Central Florida. Most commercial properties require larger air-conditioning and heating units for better performance in huge spaces. We offer installation of equipment and reliable services should you need us for maintenance and repairs. More often than not, simple troubleshooting and DIY repairs could do more damage than good when service is required. To avoid costly repairs or inefficient performance of your HVAC system, call our team for assistance. Eggert Cooling & Heating Solutions is committed to offering the most efficient and high-quality products and services in Central Florida. We offer our cooling and heating services not only to residential properties but also to commercial properties. We are here to help you in making sure that your HVAC system is properly installed so that it remains more energy efficient at all times. Our services are available to commercial properties in Central Florida including Maitland, Orlando, Winter Park, Lake Mary, and nearby areas. Call Eggert Cooling & Heating Solutions at 407-252-3785 for a free estimate and to consult with our team of experts.